Let's start off this Monday by looking at some FREE pretties! You know I like me some prese...err...I mean free gifts with purchase. "Give us your monies, and we'll geeve you thees..."
Shop worth Rs.250 & above ~ Get Pearl Earrings worth Rs.79/- FREE.
" " Rs.500 & above ~ " Pearl Bracelet & pearl Earrings worth Rs.149/- FREE.
" 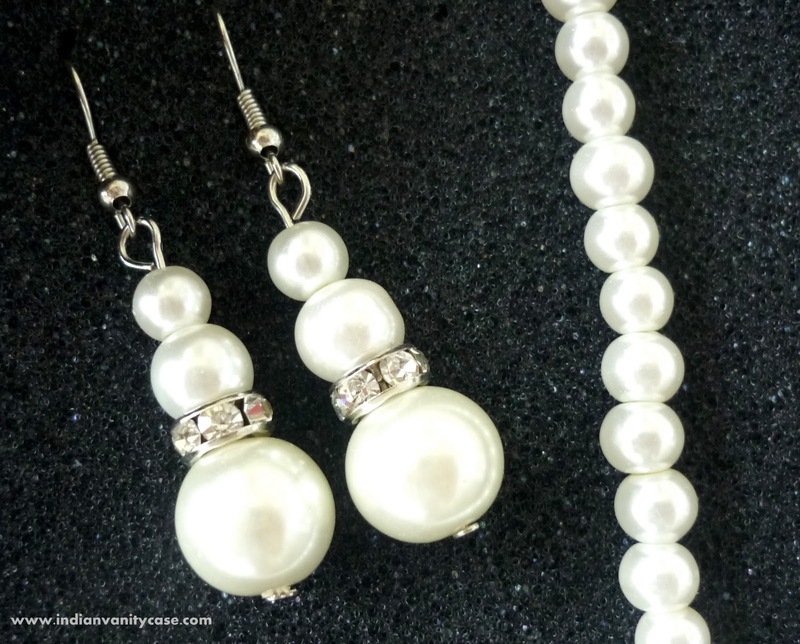 " Rs.1000 & above ~ " Pearl Necklace & pearl Earrings worth Rs.349/- FREE.
" 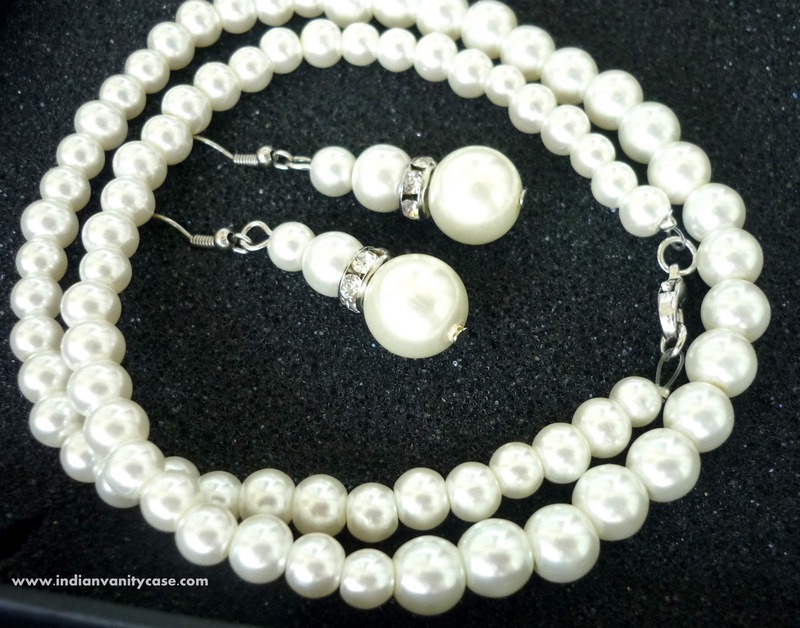 " Rs.1500 & above ~ " Fancy Pearl Necklace & Pearl Earrings worth Rs.499/- FREE. *I shopped worth over Rs.1200, so I must have gotten the second last one. I have no idea how the "Fancy" pearl set looks like. More diamantes, I guess. Aren't they pretty? I love pearl jewelry, so I very happy with them. Especially since I didn't know this offer was going on until I have paid for my stuff. It was a very happy ending. pretty cz..n we girls luvvvv it wen its free!!! That's seriously gorgeous! I love it! I'm a huge pearl girl. Pavani- haha...of course we do!